World of Color, a new nighttime spectacular, has debuted at Disney's California Adventure at the Disneyland Resort in Anaheim, California. I had the opportunity to experience the show twice during its first week of performances. World of Color features nearly 1,200 programmable fountains, fire, lasers, fog, water screens with animation, music, and brand-new animation featuring classic characters from guests' favorite Disney and Pixar films. It is a "must do" and should definitely not be missed! Disney's World of Color in Paradise Pier at Disney's California Adventure. 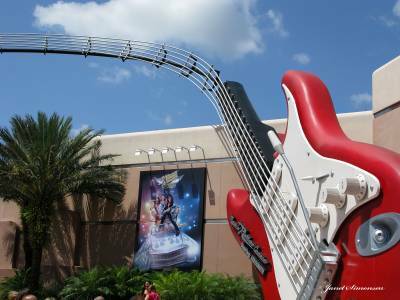 Photo used with permission from Disney. World of Color is visible from all around Paradise Bay in the Paradise Pier section of the park, but the prime viewing location is Paradise Park, the new area recently constructed to hold guests during the show. It's directly next to Paradise Bay, across the walkway from the new Little Mermaid dark ride that's now under construction. From there, you can directly view the water screens that are an integral part of the show. I was told there are two different areas within Paradise Park, but based on my experience there really appears to be three: Preferred Reserved Viewing, General Viewing, and the unofficial “Splash Zone.” Access to any of these areas requires a World of Color ticket for every member of your party. For my first viewing of World of Color I obtained a Preferred Reserved Viewing ticket by enjoying a World of Color Dinner at Ariel’s Grotto; another option is to dine at Wine Country Trattoria. If interested, you should make a reservation by calling (741) 781-DINE. I paid $36.99 for indoor seating at Ariel’s Grotto and enjoyed the meal. The dessert was absolutely fabulous! Except for the expense, this was a very easy way to obtain a ticket for Paradise Park. Another option to obtain a ticket is to order a special World of Color boxed picnic meal. I didn’t do this myself, so I don’t have any firsthand experience. However, I understand that picnic meals can be ordered online or purchased in person, subject to availability, at the Sonoma Terrace in Golden Vine Winery. A boxed picnic meal currently sells for $14.99 for both adults and children. For my second viewing of World of Color I obtained a FASTPASS ticket. FASTPASS tickets for the show are available each morning the show is scheduled to be shown, at the Grizzly River Run FASTPASS terminals. Obtaining a FASTPASS gives you access to the General Viewing area inside Paradise Park, or on the bridge between Paradise Park and Ariel’s Grotto. Unlike the World of Color Dinner, obtaining a ticket for Paradise Park via a FASTPASS can be painful. I arrived at Disney's California Adventure at 11:00 am on a day when the park opened at 10:00 am. The line for a World of Color FASTPASS went from Grizzly River Run (the queue actually has switchbacks inside the attraction so don’t think you need to be ready to whip out your Disneyland ticket once you see the entrance to Grizzly River Run), past the Grand Californian Hotel’s back entrance to the park, past Soarin’ Over California, past the Taste Pilots’ Grill, and past the large Sunburst in Sunshine Plaza (where you first enter the park). It took me 54 minutes to obtain a General Viewing FASTPASS and I got, what in my opinion, was a FASTPASS for the worse viewing section for the late show. A friend of mine arrived at Disney's California Adventure just a few minutes after park opening and while he got a General Viewing ticket for the first show, he also had to wait over 50 minutes. 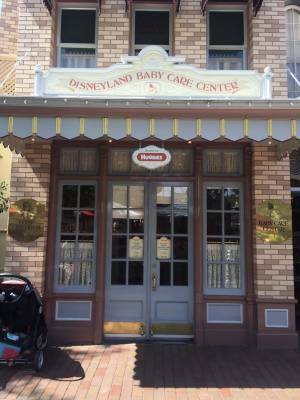 If you are going to obtain a FASTPASS, be sure that all members of your party are inside Disney California Adventure; they don’t have to be in line with you, but they can’t be outside the park, at the hotel, eating breakfast at the Grand Californian, etc. I saw many guests get out of line after waiting for 30 to 40 minutes when the Cast Members informed them that all members of the party actually had to be inside the theme park. It was my experience that guests with either a Preferred Reserved Viewing ticket or a General Viewing ticket could enter the "Splash Zone" inside Paradise Park as long as they got there early enough. In my case, I had dinner at Ariel's Grotto at 6:00 pm and was given a ticket with instructions to show up at Paradise Park between 7:30 pm and 8:30 pm. Because I was excited, I arrived promptly at 7:30 pm and was given access to the Preferred Reserved Viewing area. (All of the areas are roped off from each other with fire escape routes between them.) However, when I asked a Cast Member, I was told anybody could enter the Splash Zone as long as they arrived before the Splash Zone filled up. Needless to say, I went into the Splash Zone and actually found a spot on the ground right up against the rail, a few yards from several fountains sticking out of the water! I talked to other guests in the Splash Zone and several of them had General Viewing tickets and were also told they could enter the Splash Zone until it reached capacity. Cast Members were selling ponchos, snacks, and drinks to those guests in the Splash Zone. For the show I watched, about a third of the guests purchased or already had a poncho. I think having one is a good investment because you will definitely get wet, and maybe soaked, watching World of Color from the Splash Zone. However, the view is spectacular and worth considering. 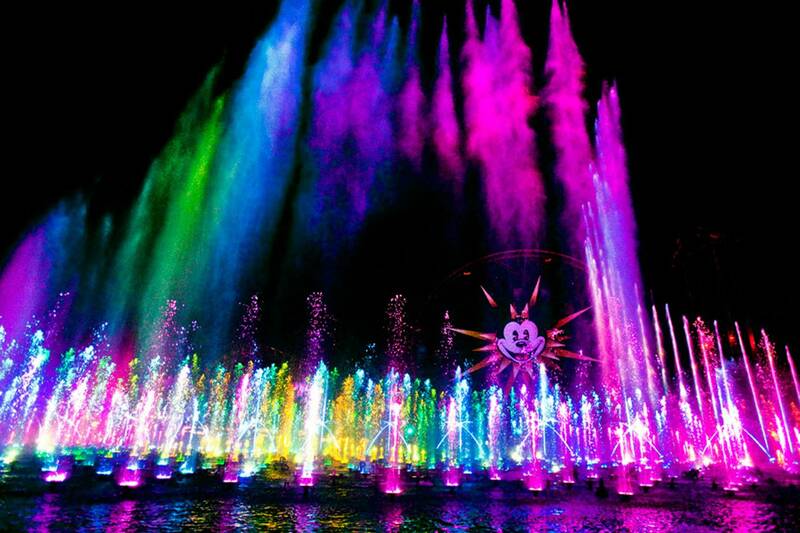 World of Color should be seen by every Disney fan, and preferably more than once! It’s a spectacular way to end your evening at Disney California Adventure. 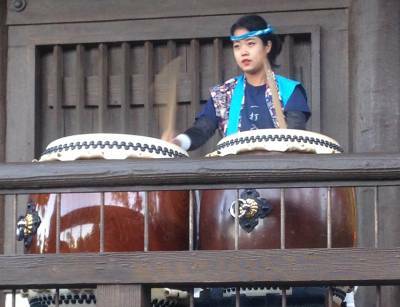 I had the opportunity to view the show from the front row and from the rear of Paradise Park. Both provided a different perspective on the show; I will say that I missed some aspects of the show the first time by being so close. I think the “ideal” location would be in the middle of Paradise Park, however, every location in Paradise Park has a great view of the show. I will also point out that Disney did a very good job of not letting Paradise Park become too crowded. With regards to the crowds, I personally found it much more enjoyable to watch World of Color from Paradise Park than to watch Disneyland's Fantasmic! on the banks of the Rivers of America. On my next trip, I’m going to watch the show from outside Paradise Park to see what it is like, but I already know it will be hard to impossible to see the water screens that are an integral part of the show! If you can get a ticket for Paradise Park, that’s definitely the way to go! About the Author: Bernie Edwards is an engineer for the National Aeronautics and Space Administration and a member of the Walt Disney World Moms Panel. 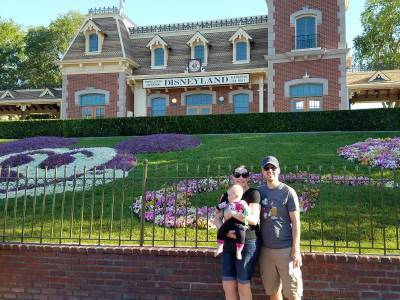 He is looking forward to bringing his family to the Disneyland Resort this summer so that they can enjoy World of Color.